When someone is looking to change their nutrition being prepared is one of the best habits and markers for long term success. With every nutrition client I’ve worked with those that were better prepared achieved better results, no matter what their goals were. Consistency is a huge limiting factor that can get in the way of making sustainable changes and reaching your goals with nutrition. In this week’s blog I’m going to provide you with an easy step by step guide on how meal plan and prep for the week. This is going to have some finer details so it will be broken down into two newsletter first addressing meal prep and then addressing on the fly meals. The goal here is to make things as simple as they need to be, but no simpler. This is the exact same strategy I use on a weekly basis to meal prep myself and with my nutrition clients. Take a few minutes to look over your tupperware stock and see if you have enough to house the food you’re going to be cooking up for the week. This is an important step because many people have the tupperware, but are missing the lids! I like to see people consume 3-5 different sources of protein throughout the week to prevent palate fatigue and make sure people are getting a wide spectrum of amino acids. There are some sources of protein that people should buy precooked because it’s just plain worth the time to money exchange. It should come as no big surprise that fruits and vegetables are important to your health and fat loss goals so I don’t feel like this point needs to be explained in too great of details but they provide vitamins, minerals, enzymes, fiber and health promoting phytonutrients. I like to see people consume as wide a variety of fruits and vegetables as possible throughout the week with varying colors to mix up the taste, consistency and nutrients they are taking in. 1 Large bag of Frozen vegetable mixes ( these are a great way to save money, and ensure that they don’t go bad before you can eat them). Vegetable trays: I will regularly but a vegetable tray and just keep it at my office for snacks or to add to a meal. The ever controversial carbohydrate! For anyone who is hitting the gym and stays fairly active you’ll want to have some cooked starches on hand for either lunch or dinner. If you want some help figuring out a good range of dense carbs to be eating on a daily basis check out the podcast I did recently on finding your carbohydrate sweet spot on Itunes or Stitcher. Keep in mind that these are the sources of starch that I’ve found to work for my clients and myself that doesn’t mean that they will be the best for you so you may need to tinker and see what sources best fit your individual context. Optional: To mix it up head to a local asian store and grab purple okinawan sweet potatoes or taro root. Good sources of healthy fat are vital to our health. Everything ranging from hormonal, cognitive and joint health is impacted by our intake of healthy fat so don’t skimp here. For anyone who is following a lower carbohydrate diet you will need to have more fats in the diet to give the body an energy source in the absence of carbs so keep that in mind where you are out grocery shopping. 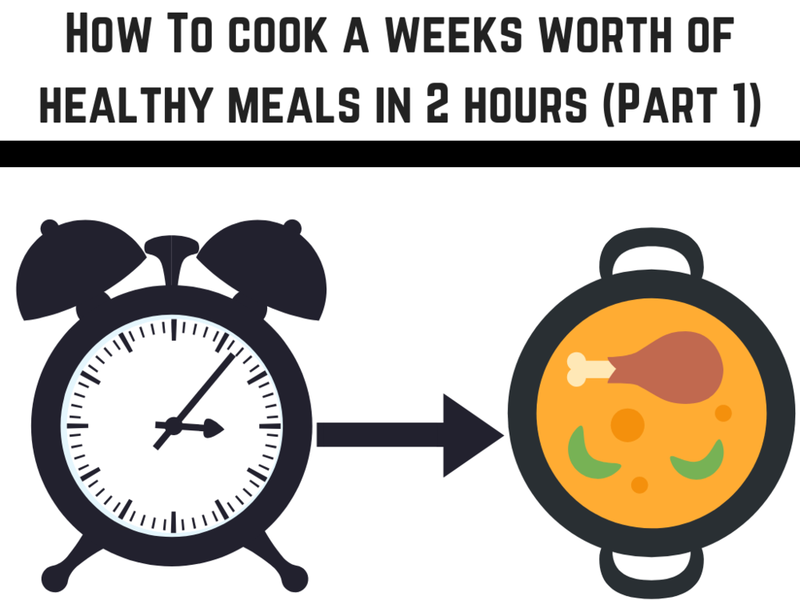 Next Week we’re going to cover the actual meal prep process step by step in the kitchen and how to maximize your time. Lastly I’ll show you an easy way to combine the foods you just cooked into easy on the go meals. If you want to entirely remove the confusion of meal prep let's chat, and understand how to use food to reach your goals sign up for a nutrition strategy session by clicking the Get Started Today button and filling out the short form.